Azusa, the near 50,000 people city is one of the notable entities in the San Gabriel area. The city of Azusa is one that dates back to the Mexican Alta California era and has been home to Mexicans, Indians and now the area is covered by mostly white natives. This city is called the ‘Canyon City’ for its strategic location in the entrance of the San Gabriel Canyon; this has awarded it with notable inclusions in popular culture and in business. In 1887, the grand city of Azusa experienced a predicted increase in commerce and population owing to the completion the then much anticipated Los Angeles and San Gabriel Valley Railroad. This development saw the increase of migrants and business persons to the area then, and today, Azusa stands as a quiet but commercial center for residents within and around the area. Owing to the vast exposure the area has enjoyed in recent years, there has been an expected influx of people, businesses and firms in the past decade. A lot of startups have sprung up in side streets and corners, offering residents of the area with more than a handful’s worth of options to choose from for any service needed. The legal industry has shared in this boom and many legal help centers and enterprises are operational currently in Azusa. If you seek to have professional service done for you in the legal case you might have, then the wise thing to do is to reach out to tried and approved practitioners who will help leverage on the law to help you get the outcome that you desire. Rawa Law Group is a respected and revered law firm here in Azusa that has enjoyed many years of distinction due to the exceptionality of their services rendered. We are your surest bet for services that are custom tailored to garner in the results you want while ensuring that you are treated with utmost care and professionalism. Here are a few reasons why our offers and packages tower high above most of any other you can get in the city. We have some of the most experienced legal minds in California. Our attorneys are respected litigators, who have a combined experience level of over 50 years, you can be sure that we have seen and managed almost every known case in the book. We offer a legal representation that includes our clients. We do not sideline those we represent or treat their unique circumstances as another case on the slate; rather, via series of one-on-one consultation sessions, we forge a personal case for our clients. Our litigating prowess has been tested and proven through our two decades of existence. We have secured win after win for our clients, giving them a renewed hope and joy in their lives. Our attorneys are ready to go above and beyond for you in the carrying out of the law, ensuring that you are heard, seen and giving the highest level of legally possible attention. All of which will increase your odds at landing the desired outcome. You get the opportunity to bank on our twenty years of unrivaled excellence in the legal scenes, as we offer a non-obligatory service to all our clients. Our appointments and consultation sessions are set to be flexible and convenient for our clients. We do not mind meeting you up at the hospital, your workplace or your home in order to get your case started. You will enjoy an intimate and relentless advocacy that is forged from a sincere desire to see you win in court. You should know that our Azusa attorneys at Rawa Law Group are amongst the high performing legal luminaries in California. In our 20 years of active participation in the legal matters of Azusa, we have seen to the deliverance of settlements to our clients to the tune of hundreds of millions of dollars. Furthermore, our all-inclusive representation, the sterling track record of excellence and amazing tenacity has not only made us the first choice for most plaintiffs and claimants in Azusa but has earned us the honorary reverence of being one of the most sought-after legal enterprises in the area. We would be honored to be part of your success story, to help you get the outcome that you desire and make your life a lot better. We are a team of committed, professional and successful attorneys who are devotedly at your service. In our experience, we have come to discover that people make choices and actions that are in congruence with their expectation for their case when they are well-informed on what exactly they are doing. 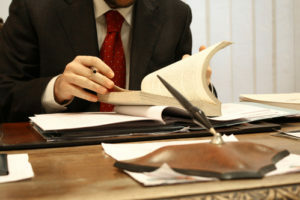 This is the reason why we are ready to go out of our way to ensure that our clients are well appraised with all the legal details of their case; we will break down every legal clause or stipulate in order to help you comprehend, we will also avail you with priceless counsel that will order your steps from then on. Your odds in court will also be evaluated, this will help you know if your case will fly in court or not and what’s more? We offer all these completely FREE of charge. We do not place any fee on you for our services to you. That’s how we like it here. We guarantee that you will receive a service that is unmatched anywhere in the world. We have got the resources, the competence, and your best interests in mind ready to serve you in the very best way possible. If you are seeking an Azusa attorney, then search no further! Rawa Law Group is ready and available to you today. Our professional attorneys and support staff are ready to take on your case and to give you a great shot at landing the results you deserve. If you would like to speak to an attorney today, kindly visit us or call our TOLL FREE number 1-844-444-1400 to schedule a consultation.